St. Elmo’s Fire is a brilliant (and safe) weather phenomenon, which is comprised of luminous plasma created by a coronal discharge from a sharp or pointed object in a strong electric field in the atmosphere such as those generated by thunderstorms. 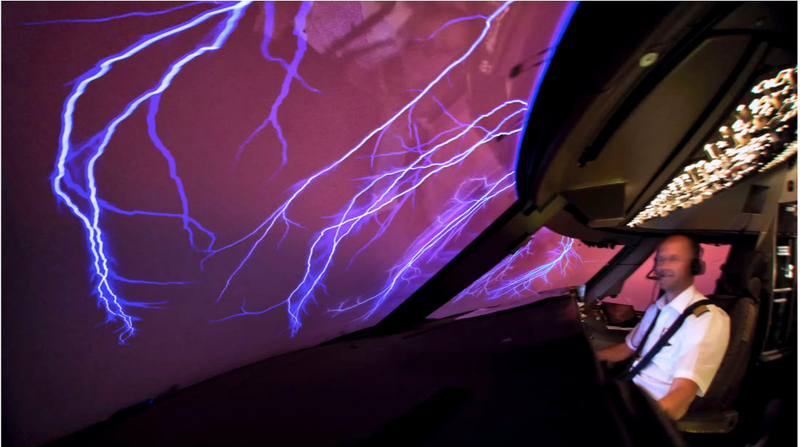 The image of St. Elmo’s fire was captured by commercial pilot Christiaan van Heijst during a flight. St. Elmo's fire is named after St. Erasmus of Formia (also called St. Elmo, one of the two Italian names for St. Erasmus, the other being St. Erasmo), the patron saint of sailors. The phenomenon sometimes appeared on ships at sea during thunderstorms and was regarded by sailors with religious awe for its glowing ball of light, accounting for the name. Sailors may have considered St. Elmo's fire as a good omen because their patron saint is nearby.